In this Aug. 30, 2012, file photo, a tour group walks through the campus of Harvard University in Cambridge. Harvard University for the first time is allowing students to choose their preferred gender pronoun from a list including such gender-neutral identifiers as “ze, hir, and hirs,” a move the college said is aimed at increasing inclusion on the campus. College administrators said the students can make their choices known during registration. According to researchers of gender and sexuality, some students who do not identify with the commonplace pronouns like “he” or “she” feel invalidated in social settings. The move, according to university officials, will allow Harvard faculty and administrators to know a person’s intended pronoun without a student-teacher discussion. Students may also choose to be referred to as “they, them, or theirs,” officials said. Gender-neutral pronouns like ze and hir are generally used instead of such single-gender pronouns as him, he, or she, according to an online support guide published by the University of Wisconsin-Milwaukee. Hirs represents a gender-neutral possessive option. Some Harvard freshmen students are following in their parents’ footsteps, while others are pioneers, a survey found. 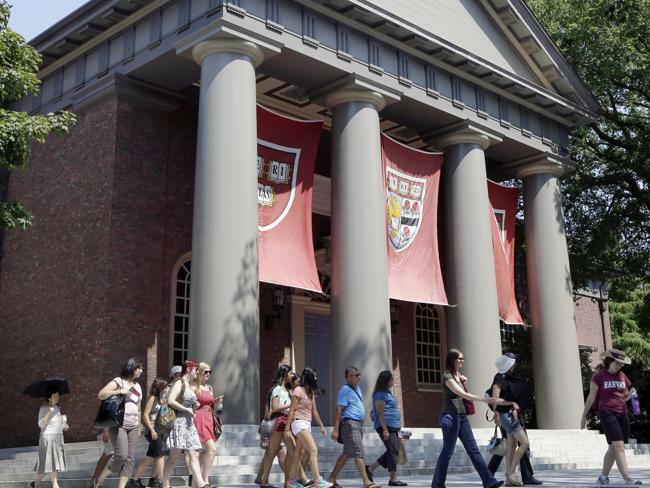 The move by Harvard comes at a time of growing recognition of gender issues on college campuses nationwide. At Harvard, the change will not affect the students’ overall gender assignment, meaning each student will still be classified as a male or female by the college, regardless of preferred pronoun. This male/female gender assignment is a particularly important for determining housing, where Harvard ordinarily requires single-gender living arrangements. Recently, Harvard was ranked the fourth-most-accepting campus for lesbian, gay, bisexual, transgender, and queer communities by Her Campus, a large online magazine for college women. Genny Beemyn, the director of The Stonewall Center, a resource center for LGBTQ and allied communities at the University of Massachusetts Amherst, applauded the move by Harvard, first reported by The Harvard Crimson. “Unlike sexuality, which doesn’t come up in most classes, gender comes up all the time because we refer to people in ways that are gendered,” Beemyn said. Although UMass Amherst does not have a policy encouraging gender-neutral pronouns, Beemyn plans to raise the issue with administration. According to Beemyn’s research, Harvard is following colleges such as the University of Vermont, which has been at the forefront of research regarding personal pronouns and inclusion. At UVM, students have chosen their preferred gender pronoun in the school’s database since 2009. Dot Brauer, director of the center for LGBTQ inclusion at the Burlington, Vt., school, acknowledges the concept can initially be hard to grasp. “The importance of including gender-inclusive options is recognizing the existence of these folks in our communities,” Brauer said.